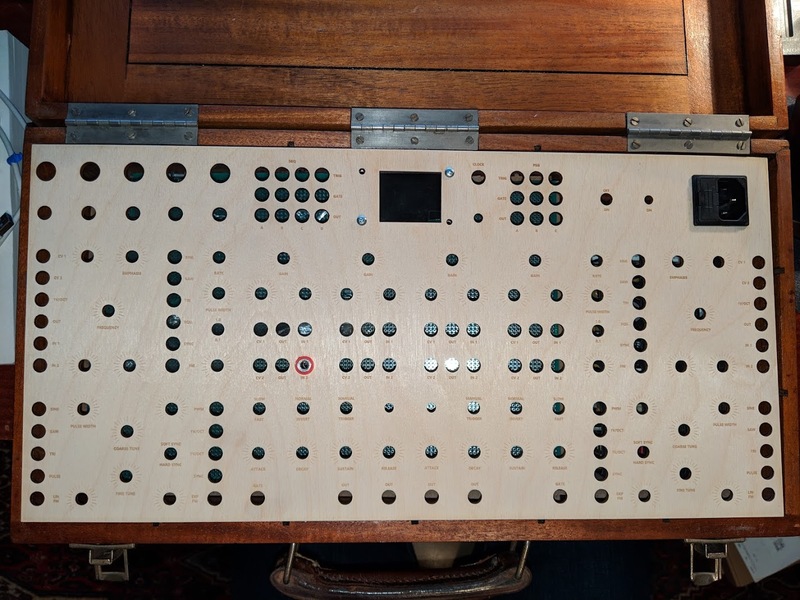 This week I’ve etched/cut myself a ply control panel on the laser. In order to prevent excessive burning on the etch, I was conservative with the power settings, which initially looked quite nice (good fine detail). I have since oiled the wood as a finish, but the etching is now not directly visible in parts - but can be seen more when lit from the side. This might mean I will re-make the panel and use this one for further finish experimentation… however I’d like to know about other options. Any advice on how to colour fill etching on wood? Anyone here done this before, and what works well and what does not? you can stick masking tape on the ply and then etch it and then paint it and when dry take the tape off and voila! Fair enough, looks like I have a panel for testing and I’ll make another at some point. is there still a depth difference in the etching? with fine detail you can lightly rub something like milliput or could perhaps try a wax crayon over the etching The only thing is depending on how smooth the ply is or whether the oil has raised the grain it may mark the ply also. For the text, yes there is a bit of depth. However the radial markings are little more than scratches on the surface. I recently been on my own adventure to laser etch ply where a consistent high quality finish was paramount. So far my best result has come from cranking up the power and removing scortch marks with fine grit Sandpaper (400). Bit of elbow grease but it comes out well and leaves you with a lot of relief. I’ve tried various methods to colour the etching: paints, masking tape, stains, and in the end I’ve given up. Granted masking tape was tested with a different laser cutter - but I found the masking tape adhesive created muck on fine details that just created a more problems. However this seems to not be the experience of people on the Internet - so might be worth trying with the trotec and better masking tape. All my experiments with stains/paint bled into the surrounding wood. I’ve seen people on the Internet use waxes, but it does darken the finish on wood in a perceptible way. Thanks, that’s all good to know. I’ll have to do some testing with different brands of masking tape and different power settings etc.